As the Owner of Nedrow Business Advisors (NBA), Craig brings a unique business model to the M&A world. Polar opposite of most firms, he cares nothing about the ‘number’ of listings the firm signs. Nedrow Business Advisors model is; “YOUR GOALS ARE OUR GOALS.” We believe in a hands on, personal approach to selling your business.” After 20 years of corporate America Craig entered the Mergers & Acquisition industry. Nedrow Business Advisors was founded in 2016 with a much simpler approach to the selling of businesses. Voted ‘M&A Advisor of the Year’ in 2017, Craig is personally involved in every transaction. He has developed an extensive network of Private Investors, Private Equity Groups, Bankers, Financial Advisors and M&A Attorneys to assist any business owner in selling their company. The approach at NBA is simple; “We believe this is a people business and a relationship business. Business owners are real people and the sale of their business is a ‘life changing’ event. We understand how important this event is.” Craig has been involved in Youth, Men’s, and Prison Ministry for the last 18 years. He is the Founder of Craig Nedrow Ministries, and Stand Up 4 Jesus Ministries. Craig has two radio programs (one business and one ministry) that air weekly. He is married to Micah, his best friend and the love of his life. They have two children and four grandchildren. Micah and Craig live in Celina Texas. Andrew Lowery comes to the firm with over 25 years experience in key executive leadership roles from various diverse industries. 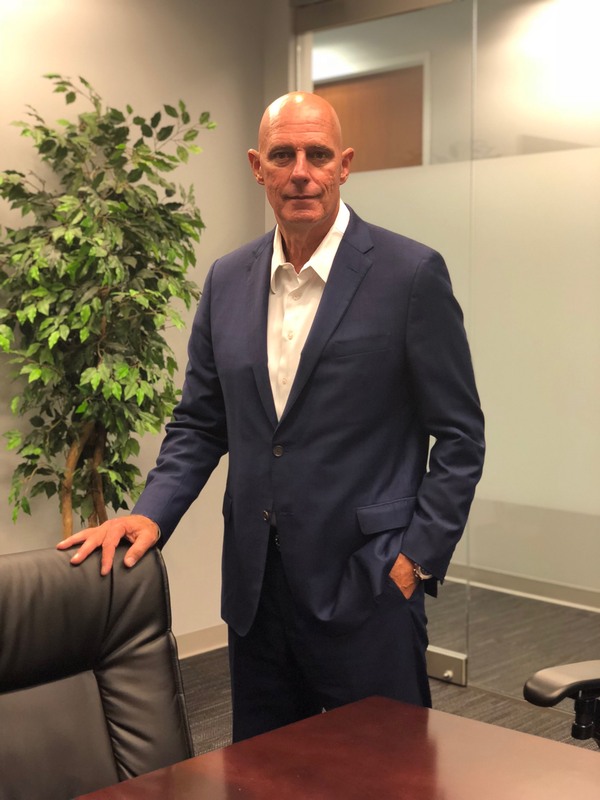 Mr. Lowery’s experience ranges from strategic global sales management, Vice President of Sales for a multi-states distribution company, GM of a venture capital renewable energy company, Business Acquisition Manager for a global manufacturer to COO of multiple private equity acquisitions. As an invaluable team member to Nedrow Business Advisors, Mr. Lowery is responsible for facilitating, negotiating and closing engagements as well as strategic business development. He is aligned with Craig Nedrow; the firms President and Owner, to assist in developing their shared long term vision for the firm. Mr. Lowery is also a senior officer in the U.S Army Reserve where he has served in multiple combat zones from Iraq to Afghanistan in key leadership positions. Currently COL Lowery is the Chief of Staff at the division level with responsibility for over 15,000 soldiers. He earned a Bachelor of Science in Mechanical Engineering from University of Texas at El Paso, an MBA from American University and a Masters of Science in Strategic Leadership from the resident U.S. Army War College. A native Texan, at a young age Jeremy felt the call to serve our great country. After researching all branches he chose the United States Marine Corps. He served active for 4.5 years where his duties included providing security for President George H.W. Bush and his family and guests. After his time in the Marine Corps Jeremy and his wife Stephanie returned to Texas to raise their family. He worked while she finished her degree. He then returned to school and received a Computer Information System degree in 2000 followed by an MBA in 2011. Jeremy has worked in the telecom space since 2000 in various roles, most currently as an account manager for a telecom software company. Jeremy brings tremendous sales/technology experience to the firm. He is an active member at Northplace Church where he serves in various Men's Ministries. He enjoys time with his family, jogging, golfing and skiing. Jeremy and Stephanie have been married 27 years and have two sons Roman 25 and Zane 18. Noah Sebourn is a transactional attorney with broad experience in the upstream oil & gas industry. He has served as general counsel to oil & gas service and royalty companies and has negotiated complex agreements with industry partners as well as directly with landowners. More recently, Noah's practice has been focused on the support and growth of small businesses in DFW; his small business clientele includes companies in manufacturing, materials testing, dentistry, solar power, HVAC, hospitality, and construction. Noah brings added value to Nedrow Business Advisors with his contacts with small business owners, potential investors and will provide in house counsel on specific legal matters. He lives in Fort Worth with his wife and four daughters, is a volunteer minister at his church, and enjoys reading and training in Brazilian jiu-jitsu.